In order to pack on lean mass, your muscles need to be put under some type of resistance. It needs to be stressed to the point of no return. This creates muscle tears and stretches and when your body repairs those muscles, they will grow back bigger and stronger – but only if you workout your muscles intensely enough. 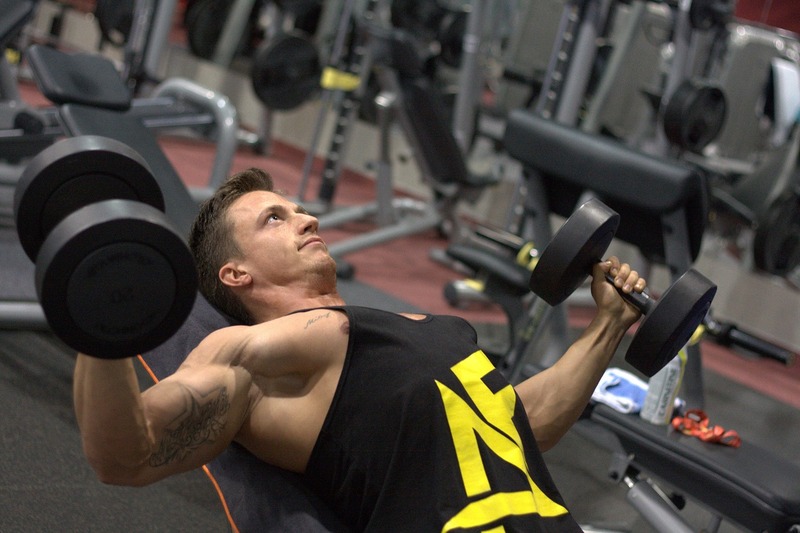 You need to hit the weights hard and hit them often if you want to gain muscle. You should be lifting an average of about 4-5 times per week for at least 40 minutes per session if your goal is to pack on lean mass. But like I said, your routine is not going to be the only thing that helps you pack on muscle. There are many other factors to consider as well. When it comes to your nutrition, the first thing you need to do is increase your protein intake. Ask any bodybuilder and I guarantee they will tell you that they eat for muscle growth – meaning they consume more calories and protein than the average person, since muscle growth requires both of these things. Proteins contain amino acids and amino acids are the building blocks of muscles, which is why they are absolutely essential to include in your diet if you want to gain any muscle at all. Calories are important because muscle is metabolically active tissue, so if you’re not giving your muscles enough energy, muscle growth won’t occur. I’m not saying you should eat like a madman and get incredibly fat when trying to build muscle, but you definitely need to step up your calorie intake if you want to see any results. You can typically gain muscle without fat as long as you are eating at your maintenance amount of calories each day, or the amount of calories it would take to maintain your body weight. Increasing your protein intake is not as difficult as you may think. Probably the best way to get your protein would be through eating animal products such as eggs, meat, cheese, milk and fish, but if you’re a vegetarian/vegan then you can simply stick with things like beans, legumes and soy. Regardless of how you get your protein, it’s recommended that you consume one gram of protein per pound of body weight if you want to gain muscle. So a 200 pound bodybuilder would need 200 grams of protein to pack on muscle. In addition to this, you should spread out your calorie consumption into 5-6 small, well-balanced meals each day. This will allow your body to absorb more protein and nutrients, allowing for an anabolic environment and increased muscle growth. Make sure you’re consuming the right balance of complex carbohydrates, protein and healthy fats in each one of those meals and also make sure you’re getting fruits and vegetables in your diet, since fruits and vegetables are high in essential vitamins, minerals and antioxidants that keep pretty much every single thing in your body working correctly. The fiber in fruits and vegetables will help also help to regulate your metabolism and digestive tract, which can improve your overall health. Take these tips seriously and you will be on the road to muscle growth in no time. Building muscle is not as difficult as many people make it out to be, it just requires hard work and dedication. As long as you get the basic principles of diet and weightlifting down, you’ll be on the road to success in no time. Losing fat and getting in shape is certainly not going to be the easiest thing to do, but with the motivation and dedication on your part you can definitely do it.